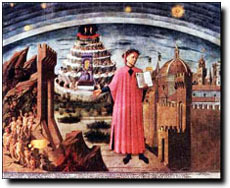 Dante's Plato Citations in "The Convivio"
e chiamale Plato "idee", There were others, like Plato, a most eminent man, who maintained that there are not only as many Intelligences as there are movements in heaven but also as many as there are species of things, just as there is one species for all men, another for all gold, another for all dimensions, and so on. They held that just as the Intelligences of the heavens brought them into being, each its own, so other Intelligences brought into being all other things and exemplars, each its own species; and Plato called them "ideas," which is as much as to say universal forms and natures. e adoravano le loro The pagans call them Gods and Goddesses, although they did not think of them in a philosophical sense as did Plato, and they venerated images of them and built great temples to them, as, for example, to Juno whom they called goddess of power, to Pallas or Minerva whom they called goddess of wisdom, to Vulcan whom they called god of fire, or to Ceres whom they called goddess of grain. e anche Plato e Dionisio Concerning the bringing about of perfection, insofar as the first perfection is concerned, namely substantial generation, all philosophers agree that the heavens are the cause, although they explain it differently, some imputing it to the movers, as do Plato, Avicenna, and Algazel; some to the stars themselves, especially in the case of human souls, as do Socrates and also Plato and Dionysius the Academician; and some to celestial virtue which is in the natural heat of the seed, as do Aristotle and the other Peripatetics. e scrisse in uno suo libro che si Plato, coming later, was of a different opinion and wrote, in a book of his called Timaeus, that the earth with the sea was indeed the center of everything, but that its whole globe circled its center, following the primary movement of the heavens, but very slowly because of its dense matter and its extreme distance from that movement. che 'l nostro vedere non era Plato and other philosophers, however, said that our sight was not a result of the visible entering the eye but of the visual power going out to the visible, but this opinion is rejected as false by the Philosopher in his book On Sense and Sensibles. * Plato was not the son of a king. Dante's source for this notion is not known. così dove Plato studiava, cioè There were others who owe their origin to Socrates and later to his successor Plato, who, examining with greater care and perceiving that in our actions we might commit a wrong and do so through excess or through defect, said that our action when free from excess and defect and in accord with the mean adopted of our own volition, which is to say virtue, was that end of which we are presently speaking. They called it "acting with virtue." These were the Academics, like Plato and his nephew Speusippus, who were so named for the place in which Plato studied, that is, the Academy. * St. Thomas, Commentary to the Metaphysics I, 14, 209 & 214.
procedessero dalle stelle, e fossero Plato and others maintained that they issued from the stars and were more or less noble according to the nobility of their star. si può dire che fosse Hence it is said of Plato, who may be said to have possessed a supremely excellent nature both for the perfection of its being and for the physiognomic image which Socrates observed in him when he first saw him, that he lived to the age of 81, as Tully affirms in his book On Old Age. * I believe that if Christ had not been crucified and had lived out the term which his life could have encompassed according to its nature, he would have undergone the change from mortal body to immortal in his eighty-first year. * Cicero, De senectute V, 13.